While we haven’t always had the fancy electrified gizmos of today, our species has been trying to keep our teeth nice and clean for quite a long time. 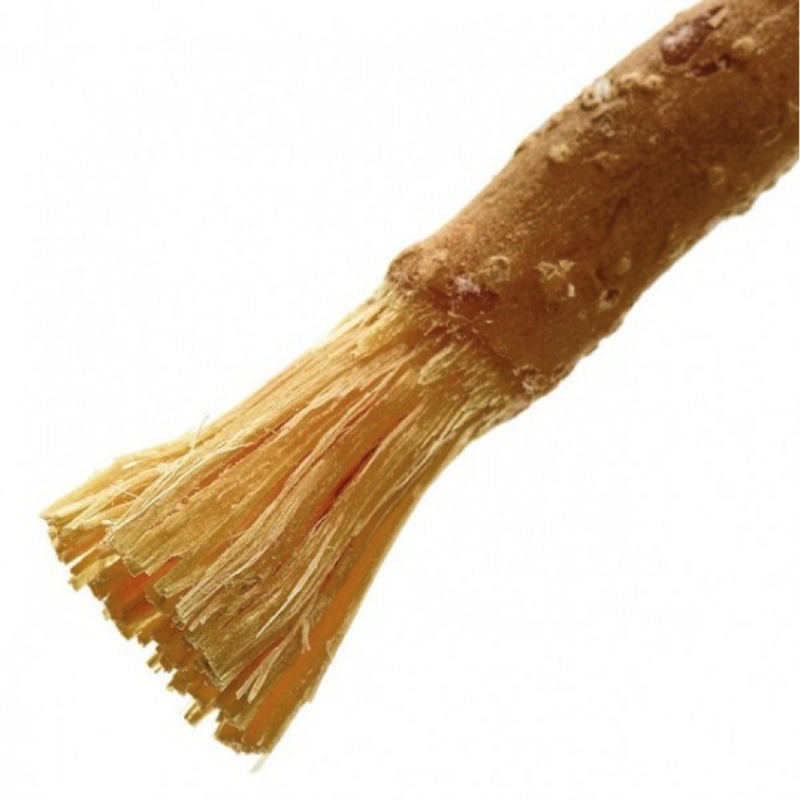 Evidence shows as far back as 3500-3000 BC the Babylonians and the Egyptians made a brush by fraying the end of a twig. Tombs of the ancient Egyptians have been found containing toothsticks and primitive tools made from twigs to brush their teeth alongside their owners. Many countries still use twigs from trees with antibacterial properties, such as cinnamon and neem. In the 15th Century, the Chinese are believed to have invented the first natural bristle toothbrush made from the bristles from pigs' necks attached to a bone or bamboo handle. As for toothpaste, it’s been a long journey to the minty fresh chemical concoctions that we slather over our pearly whites today. When pastes for the purpose of tooth cleaning were first being invented, the ingredients were nothing short of nasty. People would use mixtures comprised of ash, burnt eggshells, crushed bones and all manner of gross stuff that you don’t want in your mouth. And you thought brushing your teeth nowadays was a chore! But alas, the pig mouth cleaner was not a toothbrush yet. Twas not until Chinese Emperor Hongzhi refined the hog-made mouth cleaner, did it become an everyday tool. The toothbrush would spread from Asia to Europe. In 1690, the first recorded use of the actual word "toothbrush". A man named Anthony Wood wrote in his autobiography that he had "bought a toothbrush" from another man. I say this is the first recorded use, but it's not a stretch to assume people were calling these devices "toothbrushes" a bit earlier, it's just Anthony's writing is the first time we see the actual word. So he gets credit. In 1780, Englishman William Addis made the first mass-produced toothbrush. The design was adapted and often used with softer horsehairs or feathers which many Europeans preferred. 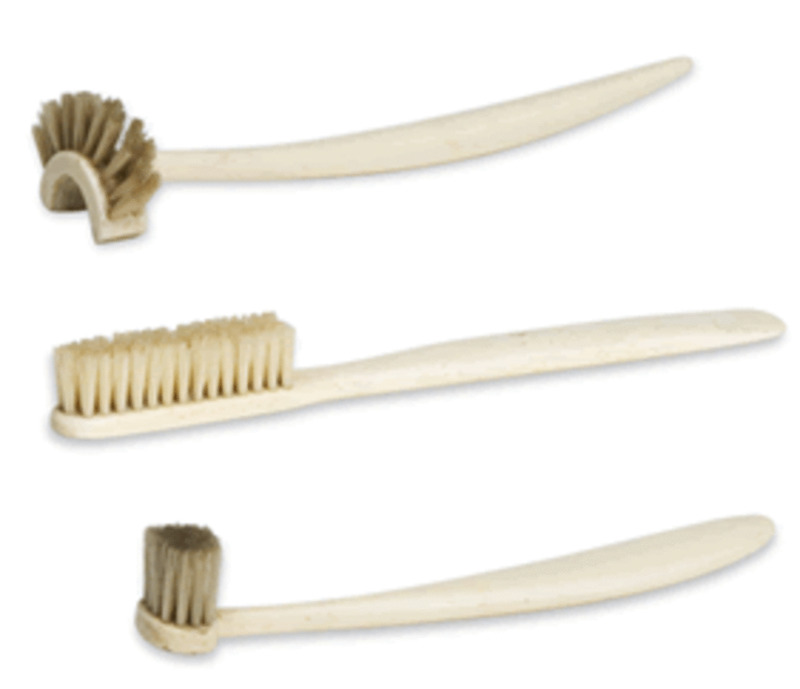 Ten years earlier, while in prison, he felt the method for cleaning teeth there could be improved (it seems the chewsticks and animal hair brushes didn't make it to prison; they were still using rags with soot and such to clean teeth -- yuck!). So what he did was take a small animal bone, made some holes in it, tied some hair bristles he got from a guard through the holes, glued it all into place, and viola -- a toothbrush! It was easy to make, and it worked so well that upon release, he turned it into a business and became very wealthy (his company, which is now called Wisdom Toothbrushes, is still around today). The toothbrush he invented is very recognizable to us today. In 1857 H.N Wadsworth was granted the first U.S. patent for toothbrushes. Around 1885, mass-produced toothbrushes were the norm (the Florence Manufacturing Company was the first to sell them in boxes. In 1937, Du Pont Laboratories invents nylon (we can credit a man named Wallace H Carothers with this.) It was only a matter of time before nylon bristles made their way to toothbrushes. Nylon obviously has quite an advantage over animal hair, even just from a perception sense. And that's pretty much where we are today. Now we have some electric and sonic models, and shapes seem to be the big thing today (toothbrushes with circular bristles, toothbrushes bent like a dental mirror, toothbrushes with rows of bristles in different heights, etc.) But generally, we've been using the same thing since the 1930s. And we've been using the same overall design since the 1780s. And, taking it one step further, we've been using instruments for teeth cleaning for thousands of years.